Post News: What’s the Best Sleep Position? The graphic below looks at a handful of aches, pains and conditions that can keep us from getting a good night’s sleep along with tricks to overcome them. You can click the image to view a full-sized version, if you’re having trouble reading the small text. 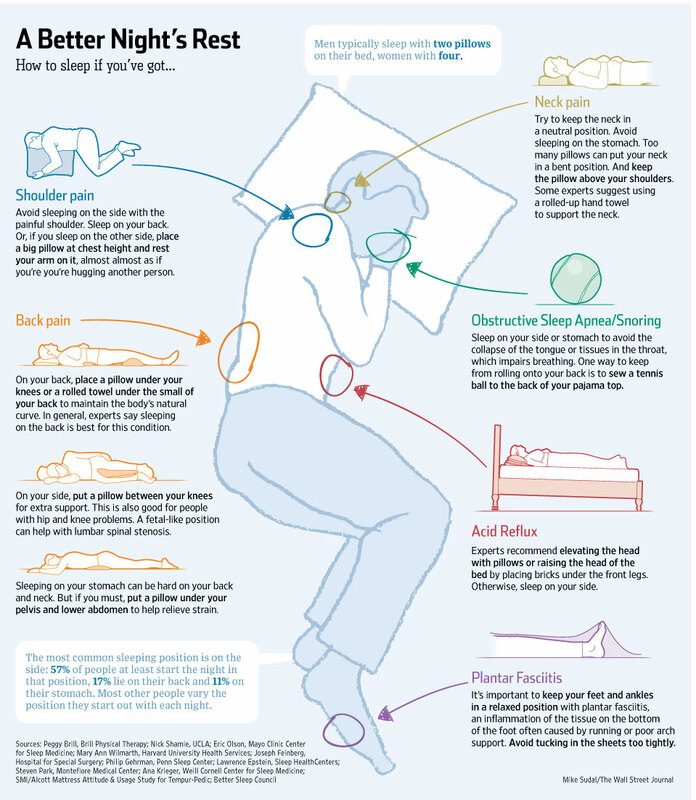 You can also scroll down for a summary of this infographic’s helpful sleeping tips. Don’t sleep on the shoulder that causes you pain. Or, if you do, place a pillow next to you and place your arm over it—almost as if you’re hugging another person. I have no problem sleeping on my back. I sleep comfortably. I don't even snore.